With Holiday season finally around the corner, I decided to share with you my new favourite one-stop shopping address for irresistible gifts that won’t break the bank. 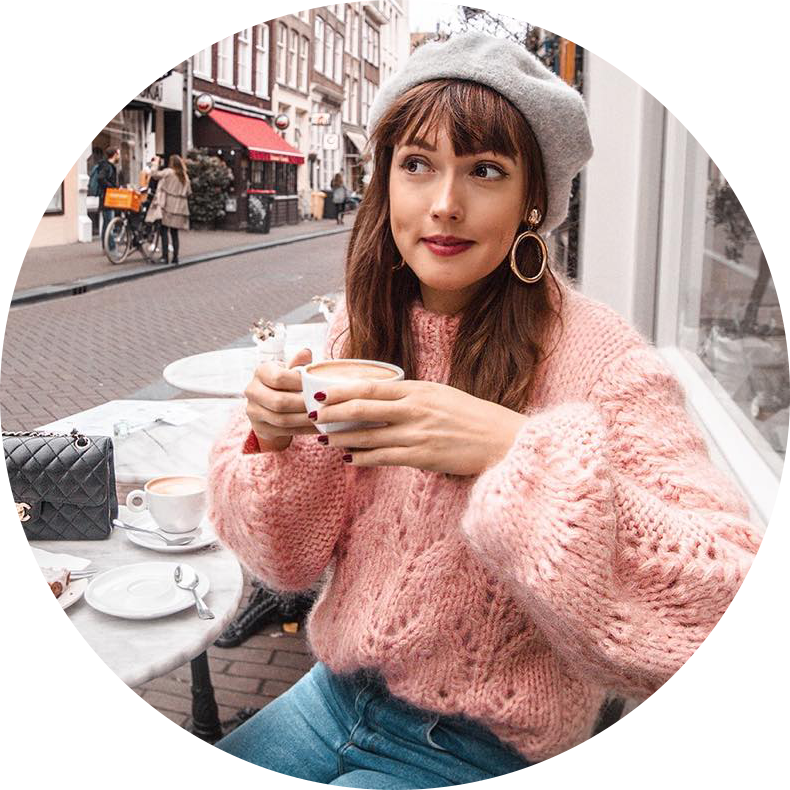 I’m talking about Parfois – a Portuguese fashion & accessories store that has just recently opened up its first shops in the Netherlands in Eindhoven, Utrecht, Amstelveen, Rotterdam Alexandrium and Den Haag. Parfois offers a huge variety of cool items that are updated weekly, meaning you can find a fresh batch of products inspired by the latest catwalk trends every time you walk through the door! 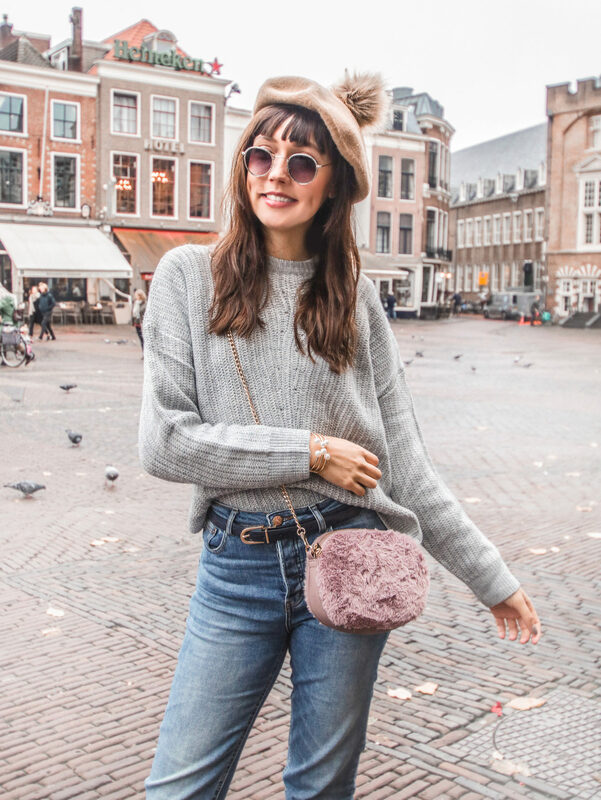 From statement bags to cute berets, cozy knits and retro earrings… and all for great prices that’ll leave you wondering why you didn’t shop there earlier! ‘Tis the season to stay warm and Parfois has loads of knitwear items to help you do just that. Buying a gift for someone and don’t know their size? Most pieces come in one size fits all, which I think is just brilliant! The basic sweater I’m wearing here goes with anything, but if you are looking for something a bit more statement I love this burgundy number or this blue one. The easiest way to make your outfit ‘now’ is by adding a beret. Get a cool one with a lightning bolt or go cute with the one I’m wearing in today’s post. Not the beret type but still looking for a cute hat? There are plenty of other lovely options to choose from! Don’t you just love how jewelry can give that personal touch to any outfit? I always love getting new jewelry from friends and I think it’s really cool to mix & match with the pieces I have. This season is all about statement earrings and Parfois has loads of those! But if you want to pick a ‘safer’ piece and go for a minimal bracelet, you’ll find it here too. This brand has literally something for everyone. Why buy 1 bag when you can have so many? You know I splurge on a designer bag from time to time, but if you want to be on trend it’s better to go for an affordable piece. And boy, Parfois knocks it out of the park with great looking, affordable bags. The one I’m wearing in this post is unfortunately sold out online, but can still be found in most stores (and you can only get that €10 gift voucher in the physical store, so put on a cute outfit and go outside!). There’s also a pink alternative & a fluffy alternative that I just love. Looking for something not so crazy for your mom? Parfois has plenty of practical shoppers and crossbody bags that are less out there, but still super charming. I recently rediscovered the belt as an accessory and love it! It’s probably one of the most underrated accessories out there. Belt a dress or use it to pull up those loose pants. Got a friend that can use a new styling trick? This is the perfect gift for her! Believe me when I say that when you see the selection at Parfois you’ll love belts too. How about this vintage inspired piece? Or the cool croco piece I’m wearing in this post? How to look cool in winter? Sunglasses are the answer! Sure, you might not always need them, but with a bit of luck we’ll still have some beautiful sunny days this winter and these will make you look awesome! I am obsessed with the glitter pair I’m wearing here – perfect festive sunnies. But Parfois also has some really cool retro sunglasses like this one that I’d go for literally any day. That was my list of fave gifts from Parfois! Would love to hear your favourite pieces in the comments and do let me know what you got with your €10 free voucher! Happy shopping! *= until stock last means there are 100 vouchers per store available. This post was created in collaboration with Parfois.